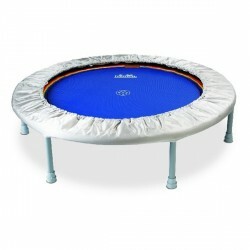 Unlimited jumping pleasure - bouncing on a trampoline is great fun for everyone. The trampoline is not only suitable as entertaining playing equipment - it's also great for professional training. Get more in shape with every jump: Trampolines are an ideal training equipment to get the body in shape and to improve stamina, flexibility, and fitness. Jumping up and down and more special exercises on the trampoline demand different muscles and effect a joint-gentle and effective training. Big or small, indoor or outdoor, round or angular - trampolines are available in different versions. 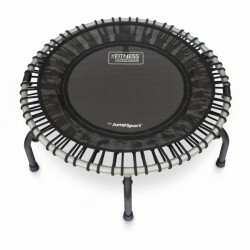 Either buying a rebounder or a garden trampoline, all are based upon the same principle: a jumping mat is tightened with springs or rubber ropes in a metal frame increased with legs. 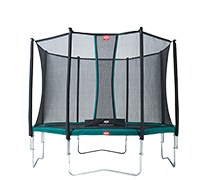 Choosing the appropriate trampoline, you should think about its use (playing or training) and how much space the trampoline requires. Reboundes are used for gymnastics or fitness - for a joint-gentle training or rehabilitation. Garden trampolines combine a lot of fun with a healthy movement. 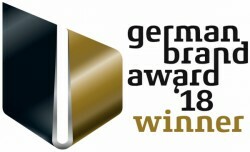 For children and the whole family, for having a romp, jumping, and playing - the big garden trampoline. 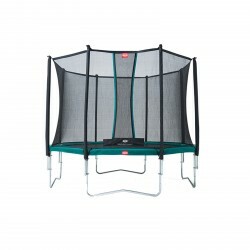 It features a big jumping surface and allows higher jumps. 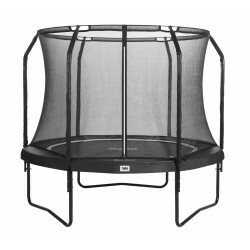 Garden trampolines are weatherproof and can be set up in the open air throughout the years. 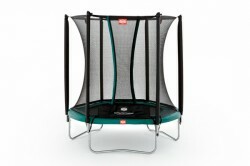 Rebounders can be set up in every apartment with a bit of free space. Buy a rebounder to train your fitness or for rehabilitation. The main exercise on a rebounder is swinging, also called rebounding. 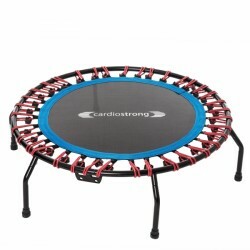 Due to rebounding on the small trampoline, calories are effectively and joint-gently burnt. In addition, you increase your stamina and improve your flexibility. 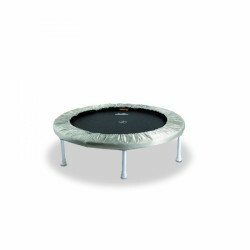 Useful accessory is available for garden trampolines as well as rebounders. It is recommended to buy an appropriate ladder so that especially smaller children can comfortably get on the outdoor trampoline. Make your trampoline safer with a frame net. 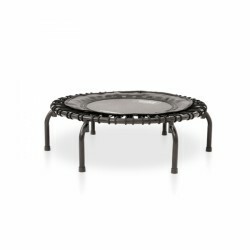 It avoids that children or pets get under the trampoline or get injured. A cover protects the trampoline from humidity and dirt and prolongs its longevity. A trampoline with a net is very recommendable. The net protects from falling down and makes the trampoline even safer. An appropriate bag is suitable for rebounders - for comfortable transport of the indoor trampoline and for using it on holiday. Handles are also available for many rebounders, which support older persons or rehabiliation patients for doing gymnastics on the trampoline and they provide more safety.